Or lack thereof, actually. I created fun, but aggressive goals for a single mom who has a son on four baseball teams throughout the year, a daughter in tennis and violin, a house to maintain, and, of course, work. As a recovering Type-A personality, balance isn’t something that comes easily to me. So, swinging radically in the direction of fun seemed to be a great idea at the time. I still maintain having a New Year’s resolution list that excites and energizes with fun goals is better than the unrealistic lose-100-pounds-in-30-days idea of goal planning though. The list just has to contain a more balanced plan. Looking back at the list from last year, I am not being hard on myself for the number of goals that were not achieved. The reason I am being kind to myself is because I also chose three words to focus on throughout the year: focus, achieve, patience. That last word is the reason for the kinder-than-normal view of myself when I feel like I failed. I am being more patient with myself, and understanding my limitations, which I plan to continue into 2013. I believe my ability to achieve goals in my personal and professional life will be a natural by-product of my focus. 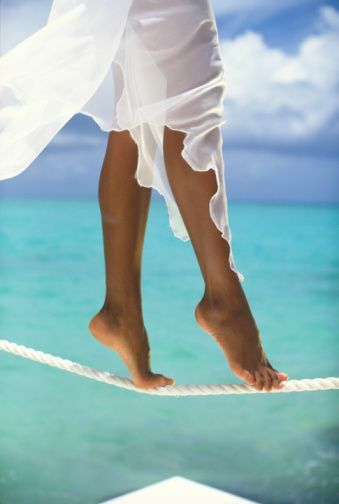 Balance will allow me to accomplish in various areas of my life, and be a lot happier. As I shake the overachiever tendencies in me, patience will need to remain as a word again this year. Of the two New Year’s resolution approaches, the three words was the most successful. I don’t plan to give up on my fun goal planning though. Like my three words, I just intend to add a bit of balance. What goals are you setting for 2013? What three words will help shape your year? Honestly, why don’t you just throw all lists away and take time to force yourself to DO NOTHING. Sometimes when we allow ourselves to do nothing in the face of wanting to accomplish, accomplish, accomplish, we end up doing nothing for a few days and then get very productive. Why? Because it’s all an added bonus, not something that has to get done. Love your blog a lot. Thanks for sharing! You have a fabulous point! After a long break with the kids at Christmastime, last week was incredibly productive. I think I needed to recharge. I took a break last weekend, too. Thanks for visiting!